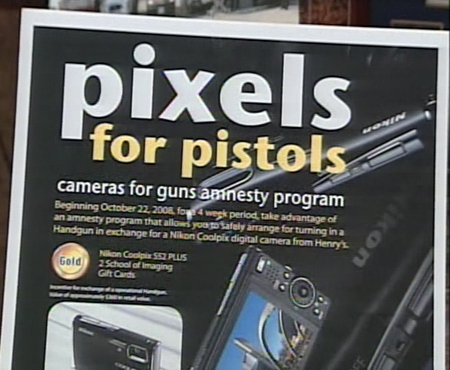 Toronto-based photo retailer retailer Henry's, along with Toronto police, just concluded an interesting promotion called Pixels for Pistols. Anyone who turned in a firearm they didn't need or want received a Nikon digital camera in exchange. Rifles or firearms earned a Nikon Coolpix P-60. An assault rifle or pistol earned a Nikon Coolpix S-52. Along with the cameras, each person also received photography lessons. 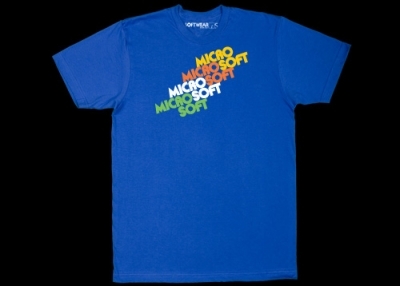 Microsoft Does Softwear. No, That's Not a Typo. Having failed (twice!) to woo young defectors with ads, Microsoft tries appealing to their unending quest for ironic shirts. The so-called Softwear line of tees joins Crispin Porter + Bogusky's ongoing "I'm a PC" campaign. Common -- who already appears in ads for Microsoft's Zune -- infused the shirts with retro cred and his own '80s-inspired designs. o The DOS Tangle: "The first logo you saw on a screen." o The 101: "Learn to speak the language." Oooh, binary. o The Misdemeanor: "Everyone deserves a second chance." There's something the world needs now: mugshots of Bill Gates prowling the streets. Would You Buy Brad Pitt's Chewed Gum? Brazilian actor Caua Raymond is auctioning off a hunk of chewed Trident that he kept in his mouth, just for the fans, for exactly 15 minutes. Video below! Hope you speak Portuguese. Diggin' how Raymond has a dude with a tray and a glass receptacle, hanging around for moments like this one. For reasons I sure don't understand, the vid is the most-viewed on YouTube Brazil today (280,743 views and counting). The "winner" of this spit-saturated dream-pebble gets to meet Raymond in a ceremony, where the money raised from the auction will be donated to charity. So Trident, I guess that highlarious mastication movie just didn't work out for you...? Because foster parents are mean and don't let you keep your dog, kids sometimes have to take matters into their own hands and build a Hotel For Dogs. That's the premise and the name of a new Dreamworks/Nickelodeon movie starring Emma Roberts. 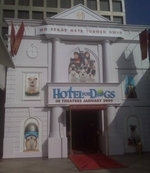 To help promote the movie, BigHeads created a pop up store - a converted Ann Taylor space at Westfield Century mall in Los Angeles - called Hotel For Dogs. Throughout the holidays, people can take their dogs to the "hotel" and have their furry ones doggy sat for free while they go shopping. Check out some more shots of the hotel here. 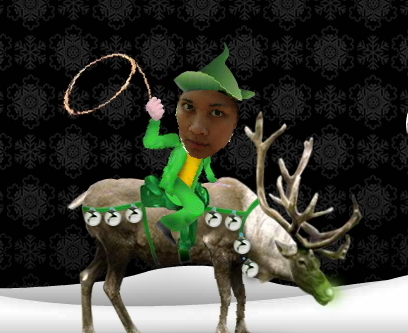 Get Bucked and Get Lucky at the Lucky Buck-Off! Last month we made it pretty clear we weren't keen on wearing bikinis and riding bulls, but Lucky Brand Jeans thought it'd try us anyway. Get a discount upon completion. Rumour has it the discount rises if your bucking abilities improve. (I faired rottenly! -- and still got 20% off.) Coupons and codes are valid until December 31. By kirshenbaum bond + partners. It's December which means it's time to pull out all the holiday marketing gimmickary. 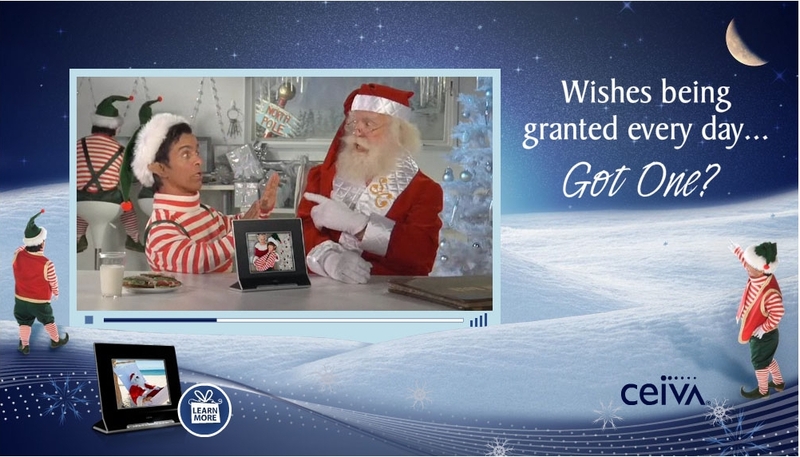 Combining the ever favorite "send to a friend" feature with "upload your photo," Gold n Fish Marketing Group has created Sit On Santa's Lap, a site on which, yes, you can upload your photo which will automagically appear inside a Ceiva Digital Photo Frame. 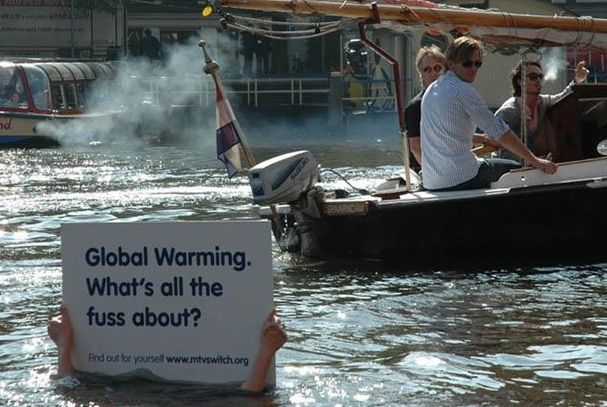 You can then. yes, send the video with your picture in it to a friend. And, yes, there's a chance to win $500. So find your favorite Twitter or Facebook profile picture - you know, the one that makes you look much better than you actually do - and upload it. Show all your friends how amazing you look. See teaser visuals for the Whopper Virgin campaign by Crispin Porter + Bogusky for Burger King. Turn the volume down unless you dig the cacophonous din of high-pitched wind instruments. According to AdFreak, Crispin -- our fearless leader! -- will scour the world in search of people that have never tried a Whopper, then publish a documentary about this deep spiritual journey alongside director Stacy Peralta. The site boasts footage of unravaged remote villages as well as cultural wisdom, of which this is just one example: "If you want a real opinion about a burger, ask someone who doesn't even have a word for burger." Ahhh. Today their stomachs, tomorrow their labour force. It's enough to make Hernan Cortes beam with childlike delight. What's that Underfoot? ...No, Not a Bell. "We're opening more lanes than ever ... to make Christmas shopping easier!" Given what happened at its Long Island location, I think it's sorta weird that WalMart's still airing this ad. I saw it at least eight times this weekend -- and each time, without fail, it brought to mind the Black Friday Death Trample. In it, lights from open aisles flicker to the tune of Carol of the Bells, which always struck me as a semi-creepy song anyway. (Don't make me explain why.) But now it also rings with the heavy panting of crazed, slightly overweight bargain hunters, indelible red splatters ... and the cracking of bones. 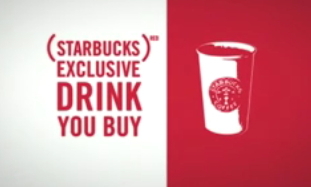 The spot first aired during the 2007 holiday season. Co-workers claim a woman was trampled then too, but that's cool because she was "a repeat stampede faker, from what I read," one dutifully disclosed. WalMart, what good are extra checkouts without an orderly entering and exiting process? Stampedes don't organize themselves.